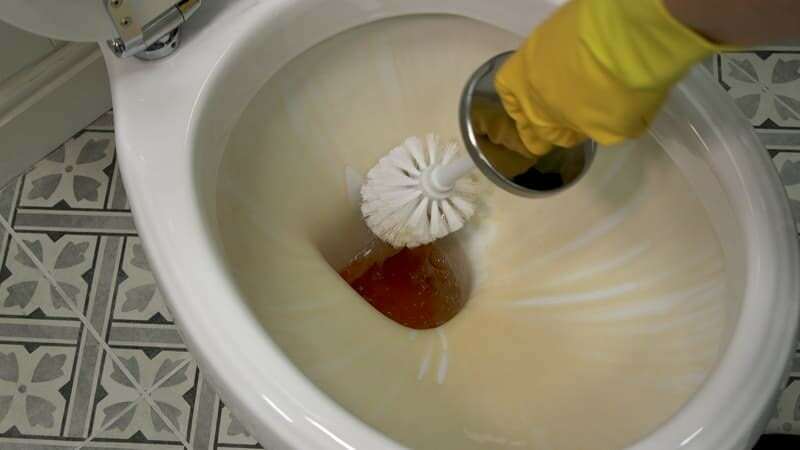 In this blog post and step-by-step video, we'll show you how to clean a toilet quickly and effectively. It may seem like one of the most basic and simplest things you’ll ever need to do in your bathroom but cleaning your toilet can be a bit of an art form! Cleaning your toilet regularly is important. Not only does it get rid of nasty stains and odours, but it also helps to kill harmful bacteria, which, if left unchecked, could lead to very unpleasant illnesses. 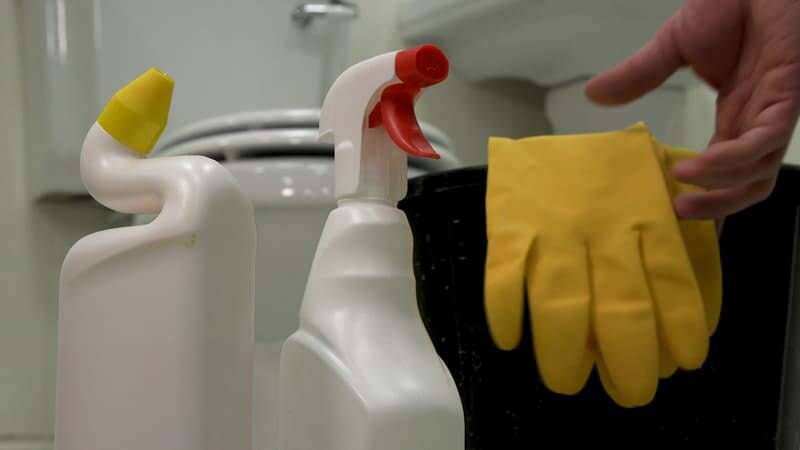 There’s no hard and fast rule as to how often you need to clean your toilet, however, we’d advise doing it once a week or more frequently if your toilet appears dirty. 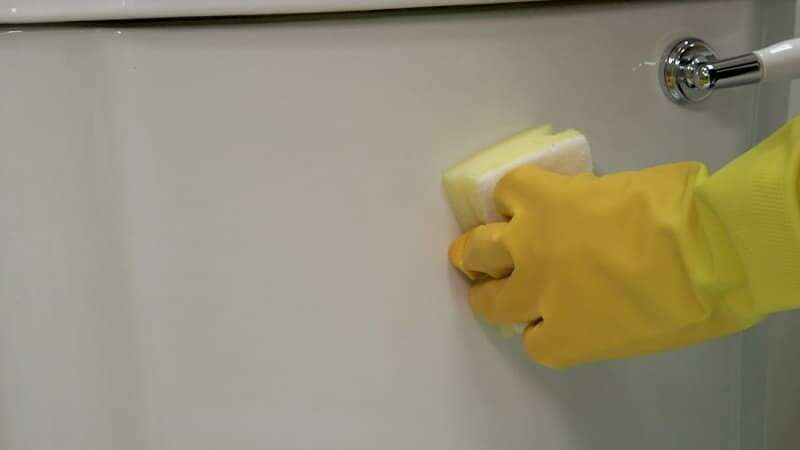 Toilets can be a haven for bacteria, so, to keep your hands clean and dry, use a dedicated pair of rubber gloves (don’t use the same ones you do the washing up with!). Give the whole toilet a wipe down with a sponge and hot water. This will loosen any dirt and grime, making it easier to remove later. Apply standard household toilet cleaner to the inside of the bowl. 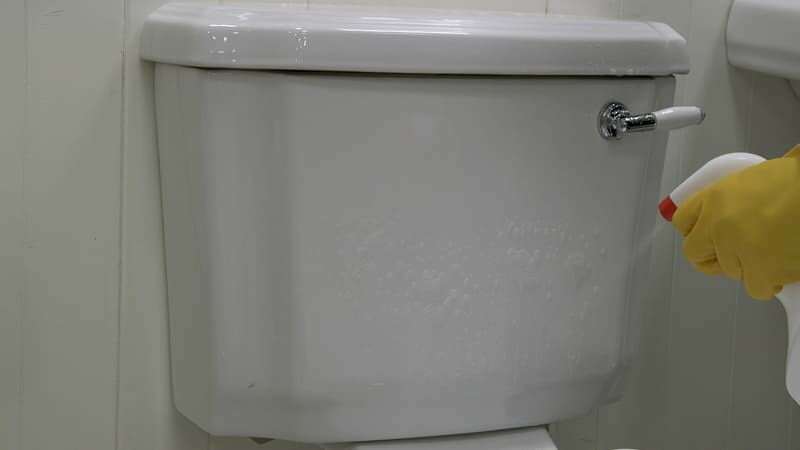 Make sure to get up inside the rim of the toilet (if you don't have a rimless toilet) as this area is often ignored. Many toilet cleaners work best when left to soak. Use disinfectant cleaner to cover the entire toilet and wipe everything down, including under the seat and around the cistern. Don't forget the flush handle or button as this is touched every time the toilet is used. 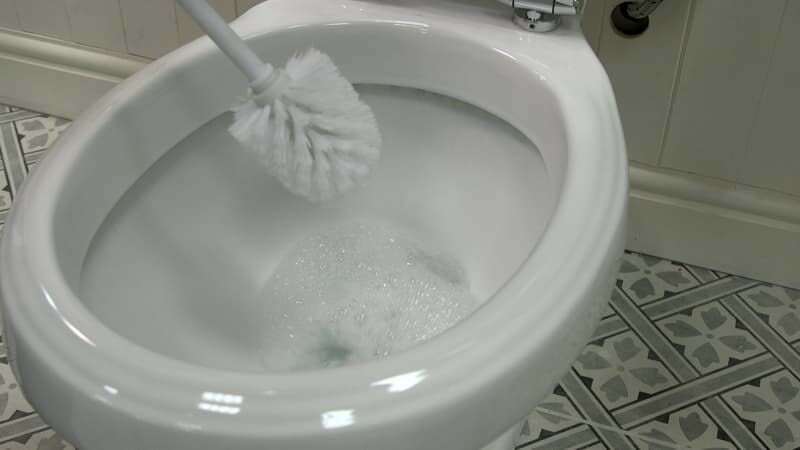 Now, use a stiff toilet brush to scrub the entire bowl thoroughly, paying extra attention to any deposits or limescale around the water line and under the rim. Now flush the toilet while continuing to scrub. Repeat the cycle of applying cleaner, soaking, scrubbing and rinsing until all the stains are removed. 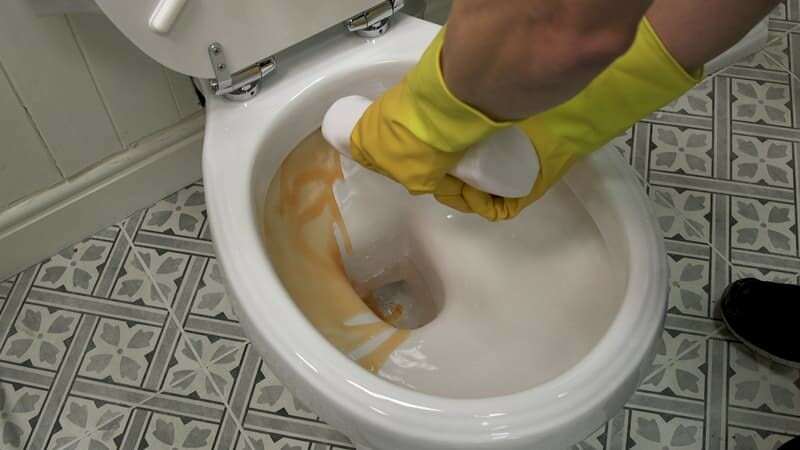 Congratulations, you have now cleaned your toilet. To demonstrate our toilet cleaning advice, we used The Bath Co. Dulwich close coupled toilet with soft close wooden toilet seat white in this video. For more tips and tricks for keeping your bathroom spick and span, why not head over to our Switches and Fixes hub? Or, alternatively, click on any of the links below to read more of our home help guides.